Two mysteries are pursued concurrently in this book. The centre of events is the mass burial ground on a small island off the coast of the Bronx, New York City. This is Hart Island used as a burial ground since 1869. In 1902 Ruby Hunt was incarcerated in the woman’s lunatic asylum on the island as a lunatic who had murdered her family - mother, father and brother - in a Central Park apartment. Ruby was 19 years old and brought up in a very privileged way. The story of her treatment is terrifying. In 2016 another woman is murdered in New York and there seems to be a connection to Ruby’s fate since the second victim is a descendant of the Hunt family. The second victim had been given a suitcase found in an attic which had photos, letters and a diary relating to Ruby. The use of modern forensic methods on this long-forgotten case is fascinating as is the incorporation of real figures from 1992 New York. 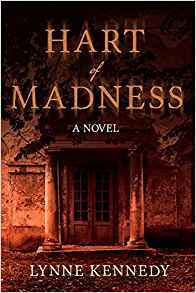 Frank Mead is the modern homicide detective who follows up all the leads on both cases and eventually reaches conclusions on what happened in 1902 and in 2016. Lynne Kennedy has published previous mysteries set in various historical periods which are solved by modern technology.